HTML pages conversion may cause several difficulties for those who need nonstandard page-per-file converting to PDF. As a rule most of HTML converters provide converting each source page to a separate file of appropriate format. But if you have dozens of parent pages that have to be converted, it is more reasonable to convert all HTML pages into one PDF file. In such a way all information from HTML pages will be combined into one PDF file. 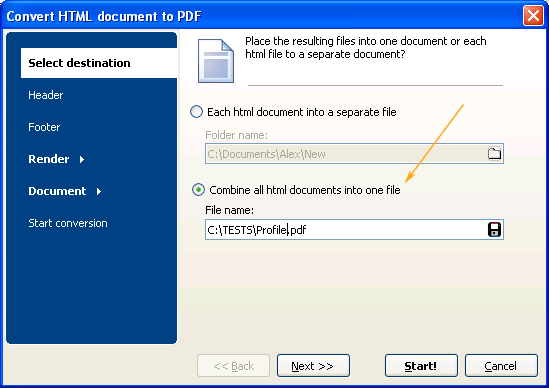 Total HTML Converter is able to combine HTML into one PDF file, as well as convert each HTML page separately. If you need the first variant, means “all-in-one” conversion, you may perform several simple actions in the program. First you need is to select all HTML pages for conversion in the navigation section of the program. When Total HTML Converter is launched you may see the list of computer folders to the left and the list of files from the selected folder in the center part of the window. Here you can check all the HTML source files you need. After the choice is made, click on PDF button in the format bar and you will see the options wizard popped up. In this window there are several inlays, the first one is called “Select Destination”. 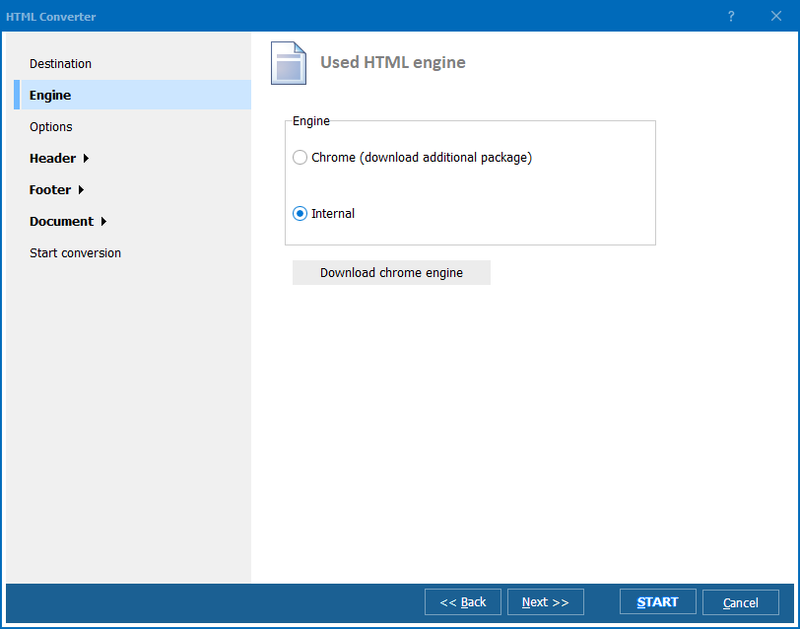 Go there and you will see two options – ‘Each HTML document into a separate file” and “Combine all HTML documents into one file”. The second variant requires to set a file name for the future PDF file. Check this and specify the file name you want. After this you can press “Start!” button and receive a combined PDF copy of all selected HTML pages. You can also set the password protection, compression level, pager format and lot of other useful options for the future PDF copy. Together with Total PDF Converter you will get fully adjustable HTML conversion into PDF file or any other popular file format. 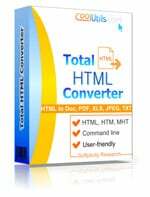 Get your copy of Total HTML Convterter now to convert .hmtl files in any way. Total HTML Converter runs on Windows XP/2003/Vista/7/8/10. All uprgrades are free, no hidden costs.